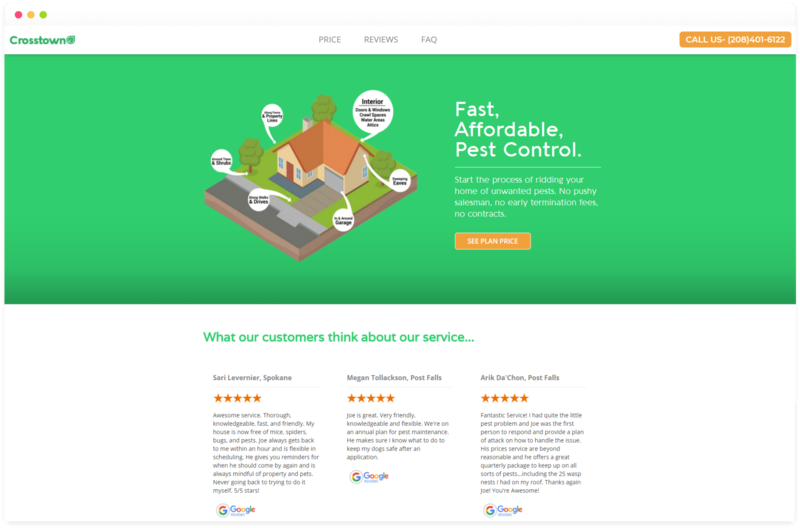 Websites built for pest control. We build your site, if you like it then you sign up. 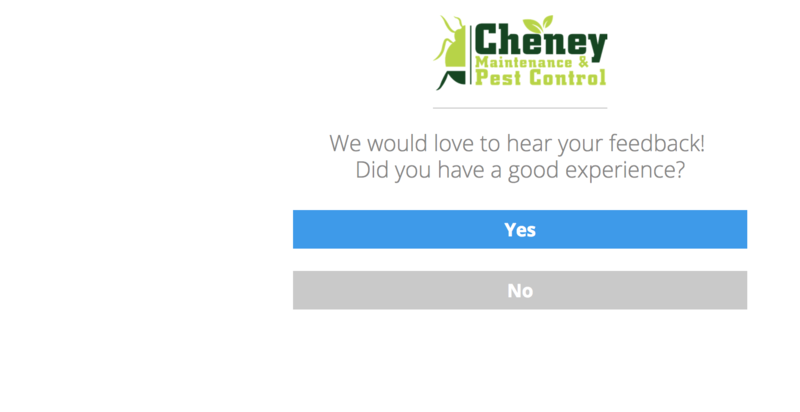 We are pest control professionals too, so we know that the last thing on your endless list of things to do is manage your website. We'll take care of your website while you run your business. Your website will be built to not just look stunning but to get you new business. All of our sites are built with SEO in mind - in other words we know how to build a website google likes. 85% of all searches happen on a mobile device. We build your site with Mobile in mind. Features like Click To Call™ and Click To Text™ make it easy for prospective clients to reach you on the go. Every one of our sites comes pre-loaded with our custom review link technology. Without having to worry about a thing it will filter bad reviews and generate more 5 start reviews than you ever imagined. ✌️ We can't wait to work with you! We'll be in touch ASAP. Reviews are the lifeblood of any pest control business. Our Auto Review App™ puts your ability to gather 5 star reviews on autopilot. Still using gmail or hotmail for your company email address? We'll hook you up with a custom email address so there's no question how legit your business is. Our sites are built with the latest SSL technology. Which means they are safe, secure and will show up more often in searches. Everyone is using their phone for everything these days. 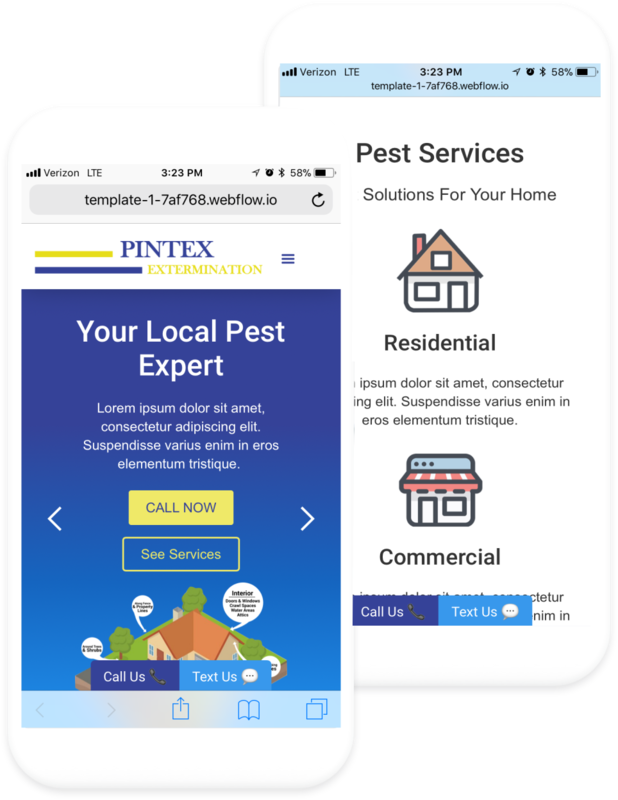 Your site will come fully equipped with Click To Call™ and Click To Text™ buttons so your potential customers can easily text or call directly from your website with one simple click. Making simple changes to your site should be easy ... now it is. With a few simple clicks and no website building experience you can change text, images and more on your site. Contacting you is easy with Click To Call and Click To Text. Potential customers can call or text you directly with one click. Get more 5 star reviews and handle any unsatisfied customer internally. We'll even help integrate our Auto Review App with whatever software you use...for free. Your website visitors deserve a safe and secure browsing experience. Not to mention google now favors sites with complete SSL protection. Ever site we build exceeds Google's SSL standards. With nearly 90% of searches done on mobile phones a tablets we build every single one of our sites to look stunning on all phones and tablets. When people search google for what you offer you want to show up as often as possible. All of our sites come with SEO performance built in. Customized with your logo, etc.